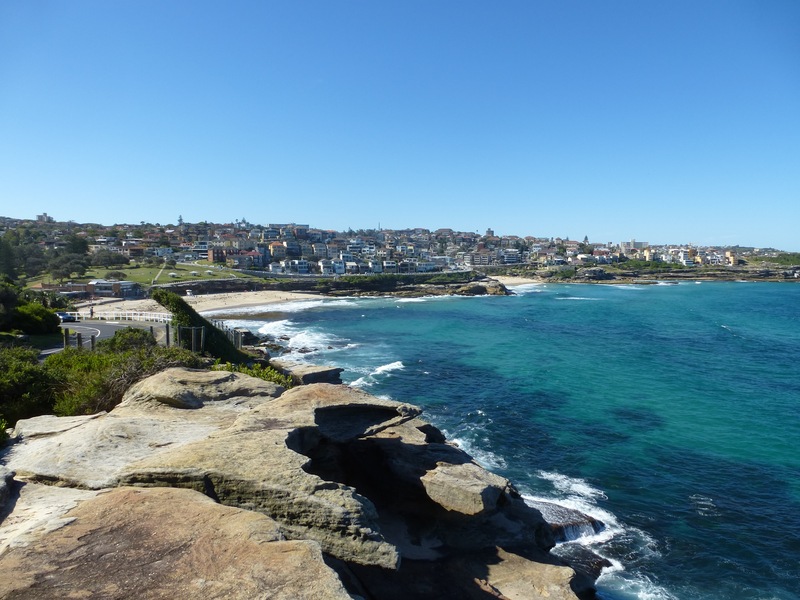 Bondi – Coogee Costal walk | Hello World! 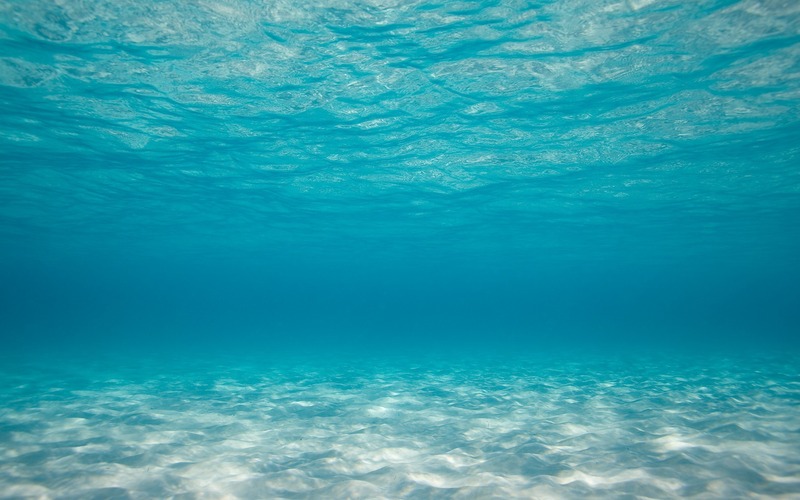 Some news from Australia! 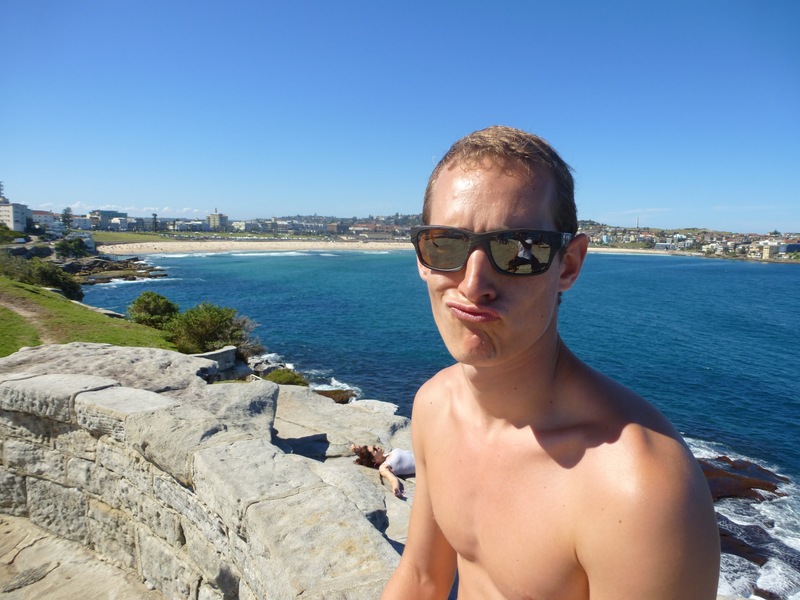 We’ve been living in Australia for a month and a half now, and we still have much to see! We spend most of our days surfing at the beach, and our nights enjoying Sydney’s night life. 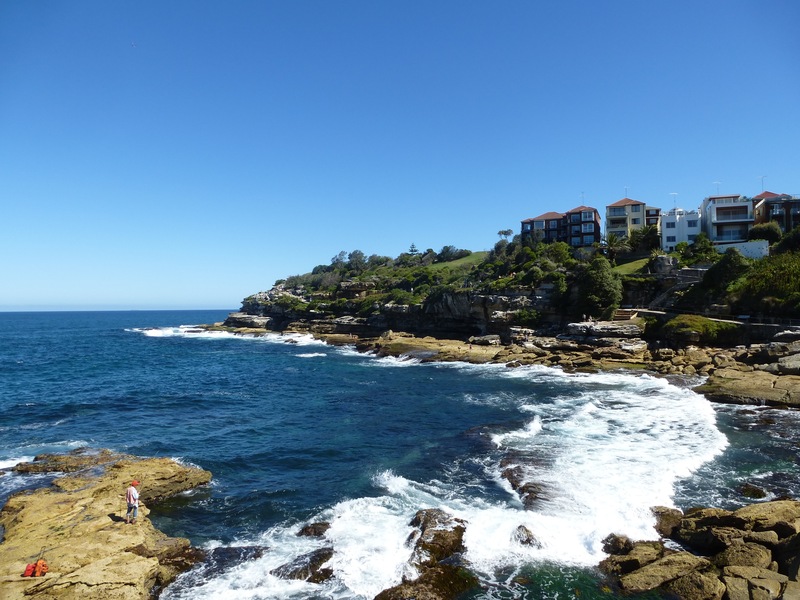 We took one day to do the famous Bondi – Coogee Costal walk: this simply sensational walk leads south from Bondi Beach along the clifftops to Coogee Beach via Tamarama, Bronte and Clovelly Beach. You can also find all along the walk plaques recounting local aboriginal myths and Australian stories about this place! 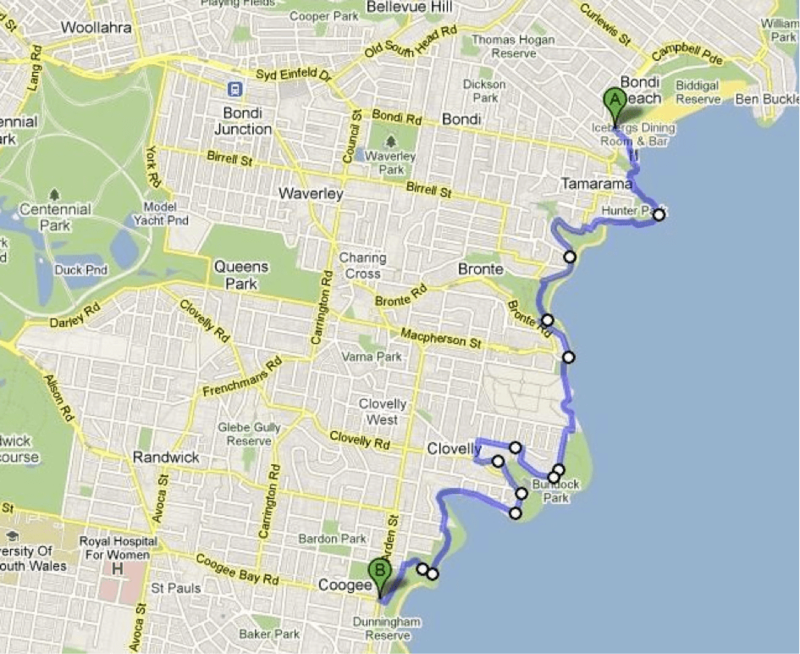 There was a lot of stairs and climbing involved so it did take us a couple of hours to complete. 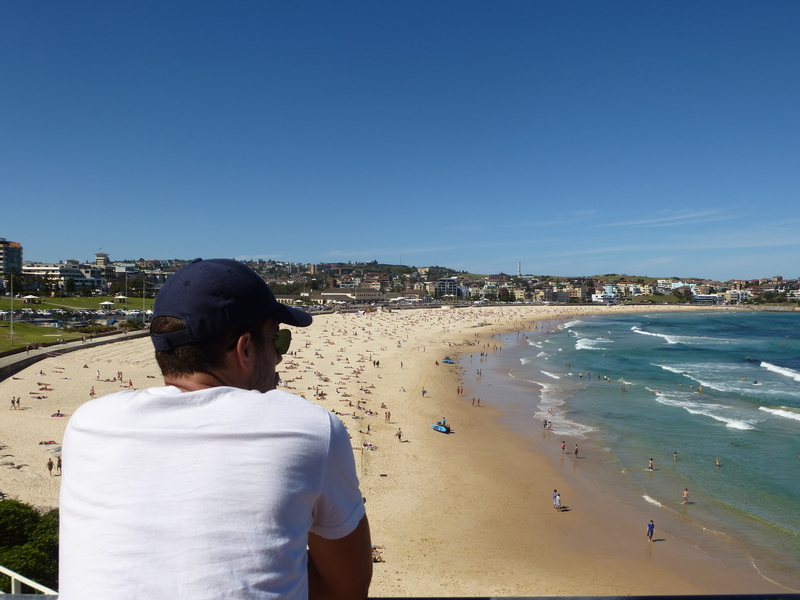 We started our walk at Bondi Beach, admiring the view from the Bondi Iceberg Club and its salt-water pool. Once we rounded the first curve in the cliff walk we could see down the coastline for miles. 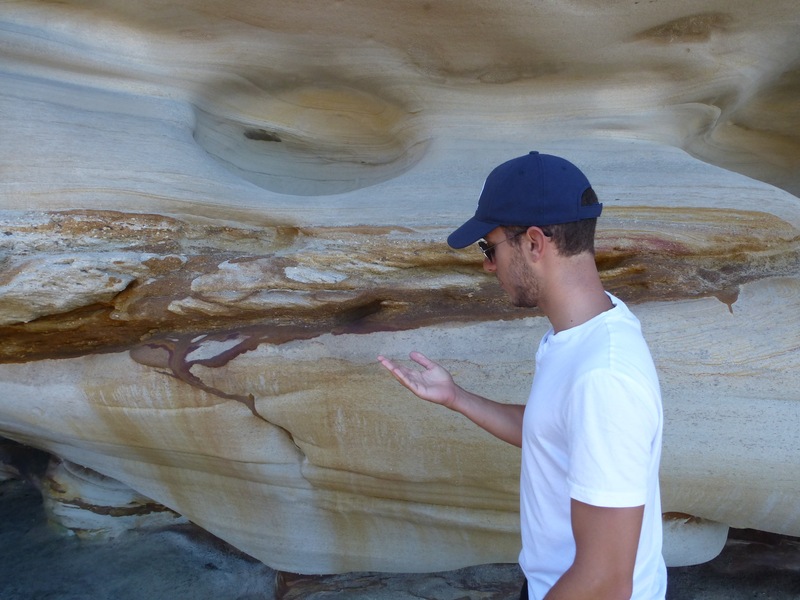 The rocks, sculptured by centuries of erosion, are absolutely breathtaking (we also saw a crazy scuba diver trying to get in the water in the middle of the waves and ending up amongst the rocks). 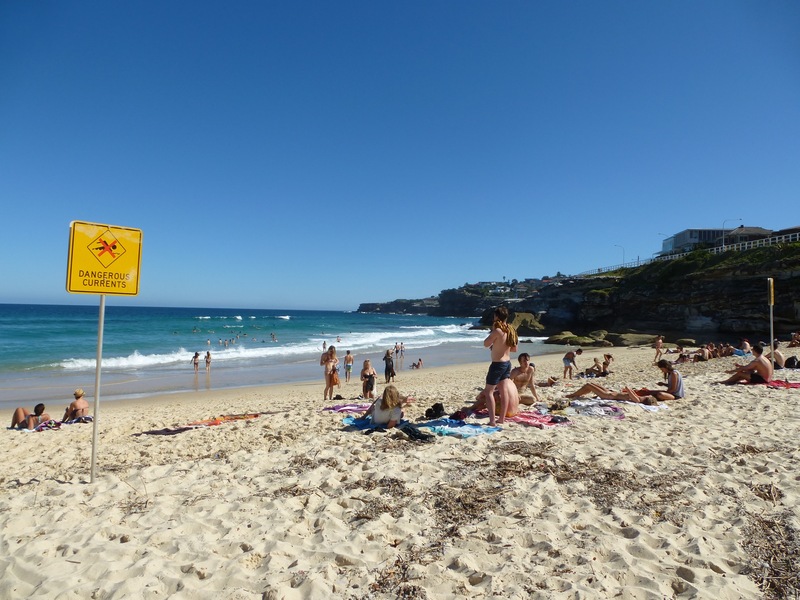 The second beach is Tamarama Beach, very small but peaceful compared to the crowded Bondi Beach. 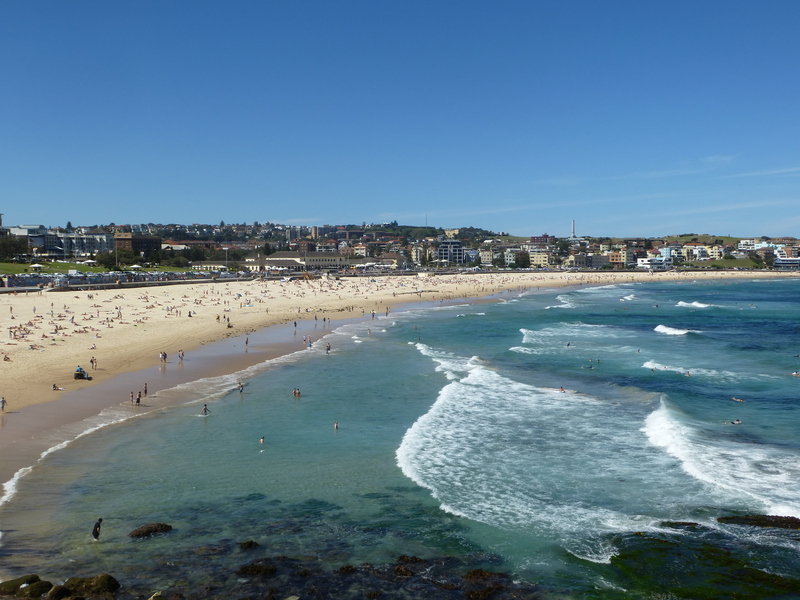 Then it’s Bronte Beach, perfect compromise between Tamarama and Bondi! 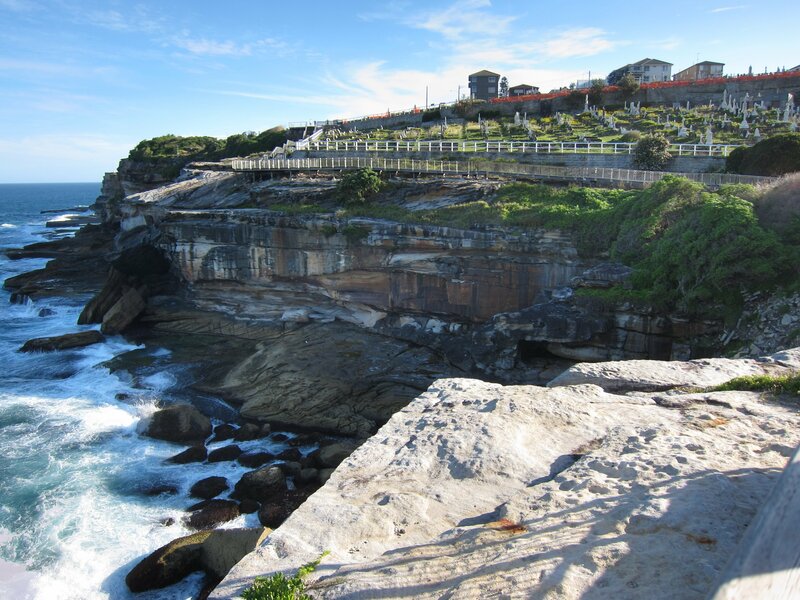 Then we passed Waverley Cemetery, constructed along the coast in 1877. The cemetery contains the graves of many significant Australians including the poet Henry Lawson and Australia’s first Prime Minister, Sir Edmund Barton, who is interred at South Head. 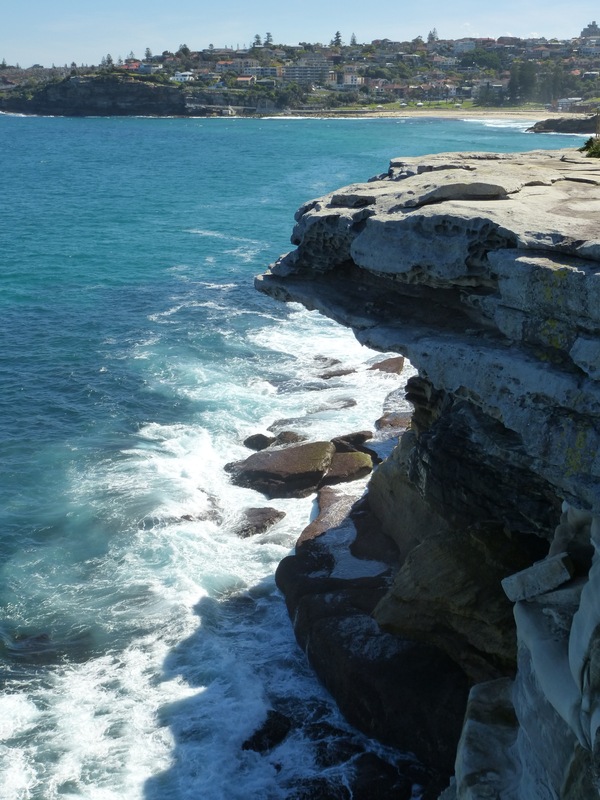 The cliffs are amazingly beautiful in the afternoon, and many Sydneysiders would die for a view like that ;). The trail then winds through Burrows Park onto Clovelly Beach, a great spot for swimming and snorkeling (it’s a small narrow bay, very good for beginners). We stop our journey at Clovelly, because the rest of the walk was through residential areas and we had to head back home. 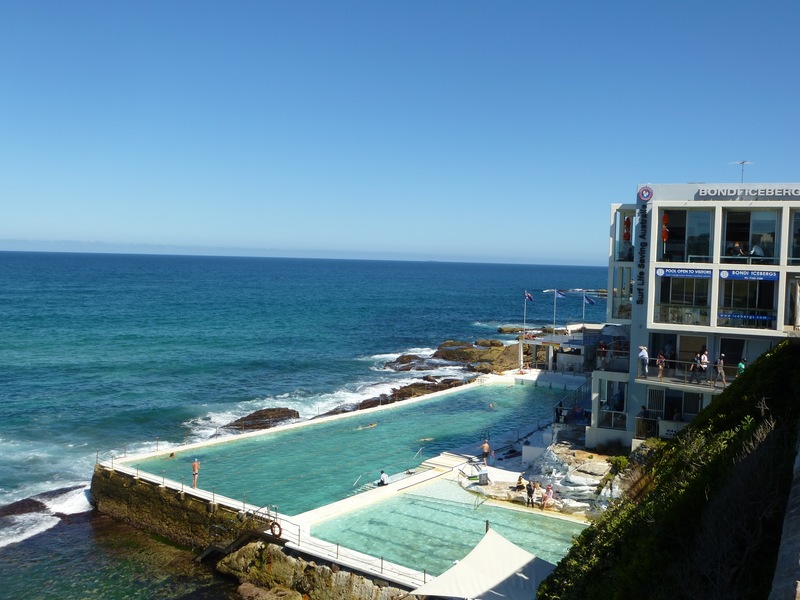 We’ve put Coogee Beach on the To Do list, you’ll soon hear about it!